Viral Interactive limited and Glitnor teams up to produce one of the trending destinations in the world of online Gambling. Indeed, this is a huge one for them, and the best part is that Gambola Casino is open to the Irish market. 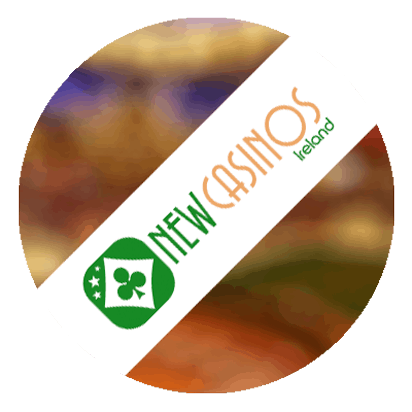 Hence, Irish players can join in the fun as Gambola Casino offers a world-class gambling environment. The platform features a massive selection of some of the best games in the entire world. So, you will be treated to some of the classic collection from many infamous names such as Microgaming; Yggdrasil; NetEnt and the likes. Meanwhile, Gambol Casino extends beyond the UK and EU into the Asian market as well. At present, the platform has a triple gambling license. While they have always had that permission from the UKGC to take over the UK and the MGA for the EU, they just got the Spelinspektionen. Gambola Casino has so much confidence in the quality of services that they offer. This is the only explanation for a onetime welcome casino bonus offer that is capped at just €100. While this might be acceptable for an existing casino, it is indeed not good enough for a new entrant that is still trying to find its way to the heart of players. However, this is about all that you get from Gambola casino at the moment. The platform currently offers a onetime welcome bonus of 200% up to €100. So, the best amount to deposit is €50. This means that when you deposit €50, you will receive an extra €100 to make your available cash €150. Any deposit higher than this amount will still receive the same bonus of €100. Meanwhile, Gambola Casino has a reasonably reasonable wagering requirement that is set at 30 times. This includes the deposit and bonus amount. Hence, for a deposit of €50, you must wager €50 + 100 x 30 = €4500 before your withdrawal request will be granted unless you decide to forfeit the bonus. There are lots of other terms attached to the welcome gift. However, it is safest to contact the support team and get all the required information to avoid any complications. If you are here for the action, then Gambola Casino will give it to you in the fullest. Gambola Casino offers an undiluted selection of quality games directly from the source. So far, the platform features more than 800 games, and each of them represents the original providers. So far, Gambola Casino teams up with the big names that you know including Pragmatic Play; NetEnt; Betsoft; Quickspin; Rabcat; Endorphins; Ezugi Games; GameArt; Genesis Gaming; WMS; Play’N Go; Microgaming; Yggdrasil; Konami; Red Tiger and many others both popular and unpopular. That way, Gambola Casino can put together some essential titles that must be resent in any top online casino. Jungle Jim; Book or Ra; Book of Dead; Hotline; Gonzo’s Quest; Blackjack; Baccarat; Roulette; Legend Keno etc. You sure won’t run out of new slots. Gambola Casino currently has a valid security license. The platform adopts the conventional 128 bit SSL encryption system. Hence, any information (including banking details) shared on Gambola Casino is entirely safe. Also, with such an experienced operator, Gambola Casino has been checked by various authorities to ensure full compliance in providing fair and responsible gaming. The helpdesk is almost always on a desk. While Gambola Casino operates a system where they typical replies email in 24 hours, the live chat is instant. However, it might not be available at all times, but it is open seven days f the week. Zimpler; SafetyPay; Skrill; MasterCard; Visa; Paysafecard; iDeal; Giropay; Przelewy 24; Qiwi; Neteller; Trustly etc. are some of the lists of payment methods that are currently available at Gambola Casino. This includes a combination of electronic wallets and credit cards. All deposits are instant. However, if you want speedy withdrawal, the electronic portfolios are your best options. They do have their demerits as well, but you will likely receive your payment within 48 hours or even less. Credit cards take a little longer between 3-5 days while Gambola Casino does not allow for bank transfers at the moment. Generally, the pending time for all payments is 48 hours. So, add that t the standard time for each payment methods, and that will give you an idea of how long you’ll have to wait. The maximum withdrawal is €30000 monthly while the minimum deposit is €10. Despite its comprehensive coverage, Gambola casino is still not available in many countries. Also, there is a need to improve on the welcome bonus. However, they have done so well in most of the other areas. Their bonus terms are straight forward, and the platform features a massive selection of games. Looking for another new online casino 2019? We update our page with new promotions and review almost every day.